Sending out our very best thoughts today to the entire community of Humboldt SK. It’s a year in which families have lived through difficult firsts. The first birthday since the crash. 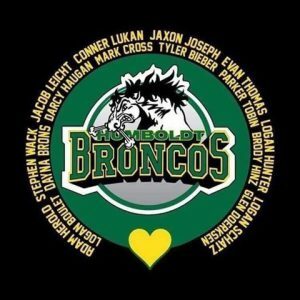 Many of the parents of the victims have been friends and fans of ours since day one and the spirit and strength shown by the Humboldt community over the past year epitomizes so much of what we cherish as Canadians. Today we honour the memory of the young men and women lost in this terrible tragedy. We hope you will take a moment to say a prayer for dear friends and family members gone far too soon. We are also most grateful that Universal Music Canada will be including the bonus track ‘Nature’s Way’ as part of the LLM set. ‘Nature’s Way’ is the last vocal performance from the late, great Kenny Shields and this song was featured at our recent shows across Western Canada in a video tribute to Kenny’s life and career. Thank you to the thousands of friends and fans in Winnipeg MB, Regina SK, Edmonton AB, Grande Prairie AB and Medicine Hat AB for helping us kick off 2019 in grand fashion. Your support for the band moving forward has been overwhelmingly positive and we are honoured to be able to continue to share the Life, Legacy and Music Streetheart with you all. We’re looking forward to seeing you all again throughout the year. Photo courtesy of Janice Stobie-Rushton and Live Music Magazine. We are so sad to hear about the passing of one of our dear friends and road brothers in arms, Ilmars Kuras. Ilmars was with Streetheart during the early 80’s and he was much loved by everyone for his laid back attitude and big laugh. Always a great guy on the road he was one of the kindest people you could know. He truly was a gentle giant with an even bigger heart. We know he will be missed by many within the Winnipeg music community who knew him and who worked with him over the years. Our sincere condolences go out to all of Ilmars’ family and loved ones. 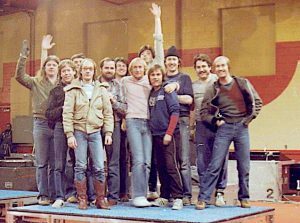 L/R Don “Toefoot” Prodehl, Ken Sinnaeve, Gary Stratychuk, Bob “Herb” Ego, Gerry Duncan, Wayne Jackson, Kenny Shields (RIP), Jeff Neill, Steve “Killer” Hill, Doug Kiddell, Ilmars Kuras (RIP), Daryl Gutheil. Photo courtesy of Gary Dealey. 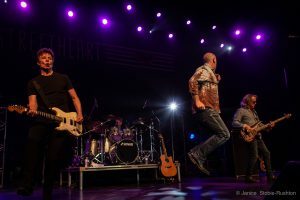 Today we are pleased to announce that Dave Langguth will be performing with Streetheart in 2019. Dave is one of Canada’s premiere rock drummers and anyone who has seen Dave play with Kim Mitchell in recent years can attest to that. 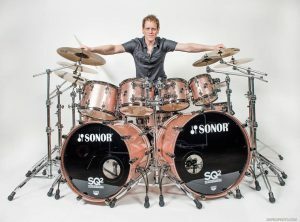 Dave is an exceptionally skilled, diverse and powerful player and his list of playing credits along with Kim Mitchell include Nelly Furtado, Sass Jordan, Alannah Myles and Rik Emmett. Dave is also an experienced drum clinician and instructor when he’s not on the road touring. We feel very fortunate to have the opportunity to add such a high quality player to our lineup and we look forward to all that Dave will bring to the Streetheart live shows. Along with Streetheart founding member Ken “Spider” Sinnaeve on bass, Dave Langguth gives Streetheart an explosive one two punch that we look forward to sharing with you all soon. 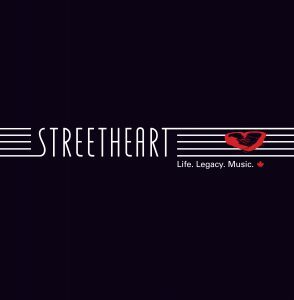 Streetheart Christmas Sale is On Now! Right now and up until Dec. 31st 2018, when you purchase the Streetheart “40” Vols. 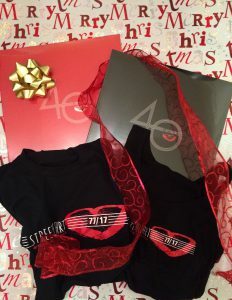 I & II vinyl set at the sale price of $50.00 CAD, you will also receive as our gift to you, a Streetheart 40th Anniversary t shirt. We will also include the shipping at no extra cost! We are offering both men and ladies tanks while stocks last and some sizes are limited so get your order in now. Just email our shipping team at merch@streetheart.ca when you place your online order, let them know the size and style you want and we will process your order right away. Do it today and Canada Post may have it to you in time for Christmas! What a great gift for that Streetheart fan in your life! Streetheart Life. Legacy. Music. 2019 Schedule. We’ve just updated our upcoming 2019 schedule and we will be adding new dates as they become finalized. Thank you everyone for all the positive response and requests to come and play in your part of Canada. We will be doing our very best accomodate as many of your requests as we can in 2019! Just click on Gigs in the main menu to see all confirmed shows. We look forward to seeing you all next year! Streetheart 2019. Life. Legacy. Music.  We are pleased to announce that Winnipeg’s Paul McNair will be joining Streetheart as lead vocalist in 2019. Finding a singer was a very daunting task for us as you simply don’t “replace” a voice as iconic as Kenny’s. 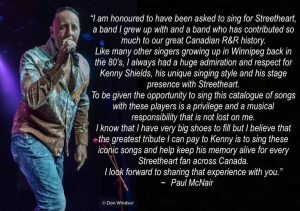 Paul as many of you would remember, sang with Streetheart at the Winnipeg Classic RockFest back in 2017 and he impressed us with his knowledge, his confidence and his respect for the difficult role that he was charged with taking on that night. Paul stepped up big time, so much so that Streetheart founding members Paul Dean and Matthew Frenette, who flew in with Mike Reno to pay tribute to Kenny that night, gave their full endorsement to Paul after he performed a powerful version of Action with them. Paul’s knowledge of our catalogue, our history and his sheer ability made him the unanimous choice. Paul grew up a Winnipeg MB kid, he’s a dynamic part of the local music scene and as many of you across Canada know, Paul was also the bassist and backing vocalist with Winnipeg’s Harlequin The Band. We believe that with Paul singing for Streetheart we will be able to create a new chapter in the story of this band, one that we hope to share with our fans for many years. We hope that you will welcome Paul McNair and show him all the respect that he has shown to the band as we celebrate the Life, Legacy and Music of Streetheart next year. Today we are officially announcing that Streetheart’s Daryl Gutheil, Ken “Spider” Sinnaeve and Jeff Neill will be playing a select number of shows in 2019 to celebrate the legacy of Streetheart and honour the memory of the late, great Kenny Shields. In the coming weeks we will also be announcing who will be joining the band for these shows. The last two summers have presented us all with a unique set of challenges. We have had to process not only the deep personal loss of a dear friend but also, the opportunity to play our music. Music that defined each of our lives and our paths. And as we have learned over the past year, music that has also had a deep impact on the lives of many of you as well. Over the last 15 months we have received so much positive support from everyone, offering their condolences, sharing their memories with us and sending along their best wishes. The vast majority of you have also expressed, along with your deep respect for Kenny, that you want to hear the songs again, to keep that legacy and those memories alive. You have always been honest and loyal to this band and all its members. Please understand that this transition will be as challenging for us as anyone. We hope that you will come out and share some memories with us and perhaps make some new ones to hold on to as well. We look forward to seeing you all in the New Year, to share with you the music that defined our lives and celebrate the legacy that those songs created. Our very best to each and every one of you. 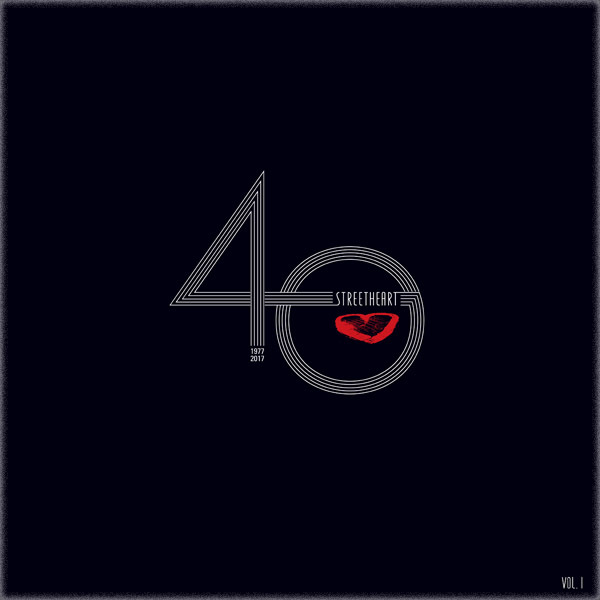 Streetheart “40” Anniversary Sale On Now! The Streetheart 40th Anniversary Sale. 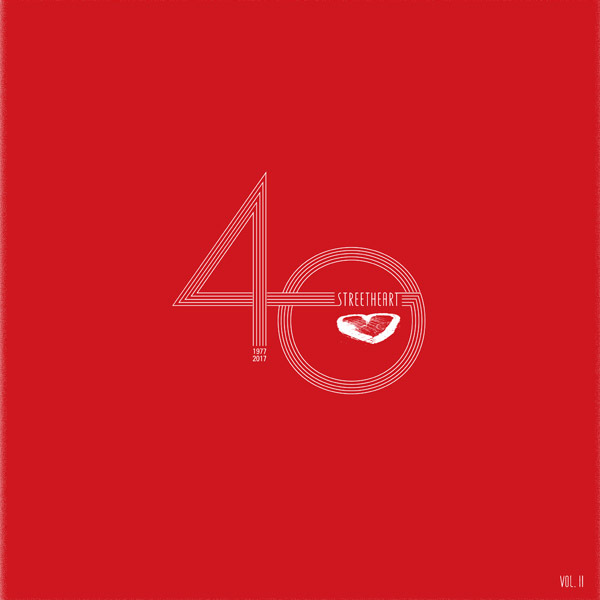 Hey chums, just a heads up to let everyone know that we currently have all of our Streetheart “40” items on sale. We have reduced prices by up to 35% off on all vinyl products and apparel and, are including free shipping with every order. 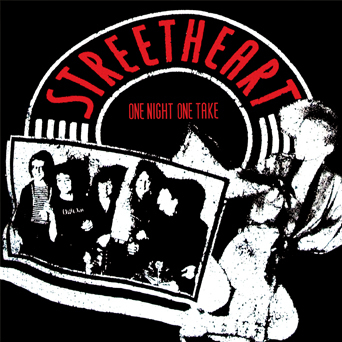 You will also receive a complimentary copy of Streetheart’s “One Night One Take” CD with every order of 3 items or more.